Critics haven't a bad word to say about the Oscar winner's performance. 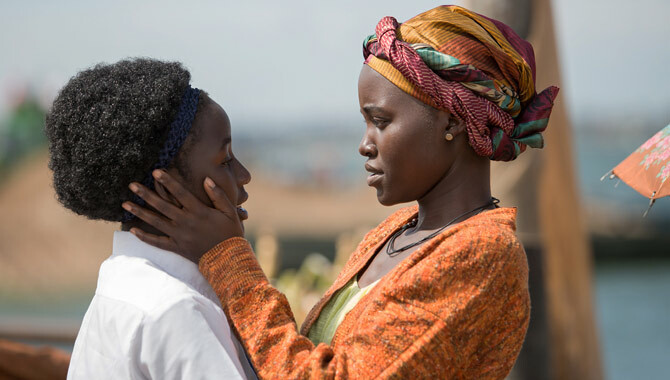 It feels cruel that we haven't seen much of Lupita Nyong'o on the big screen since she won an Academy Award for her first film role in '12 Years A Slave', but it's worth the long wait to see her in her latest venture, Disney's 'Queen Of Katwe'. 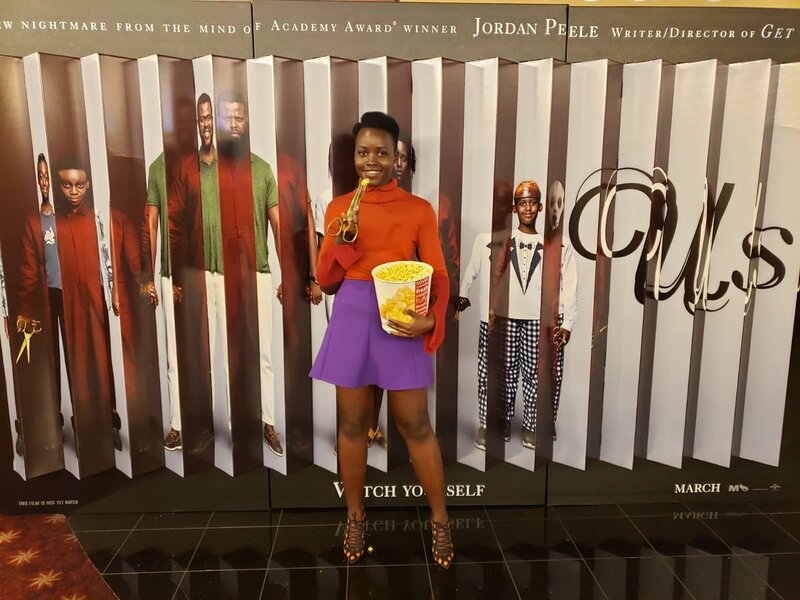 She's yet to grace the screen with a leading part, but her supporting role in this film about Ugandan chess champion Phiona Mutesi is star quality. She plays Phiona's firm but affectionate mother Nakku Harriet, while Phiona is played by newcomer Madina Nalwanga. After winning an Oscar for her first role in a feature film (2013's 12 Years a Slave), Lupita Nyong'o has picked her projects carefully. Lupita jumped at a chance to work with her longtime friend, filmmaker Mira Nair, shooting Queen of Katwe in Uganda, next door to Kenya, where she grew up. Most films set in Africa, she says, are about "wars or political dictators or what-have-you. But this is a view of Africa told with Africans front and centre. It's their narrative, and that means that you have layered characters. Yes, you have struggle, but it is also a story about perseverance, vision and the magic of realising your dream." In the film, Nyong'o is Harriet, the mother of child chess prodigy Phiona, played by newcomer Madina Nalwanga. 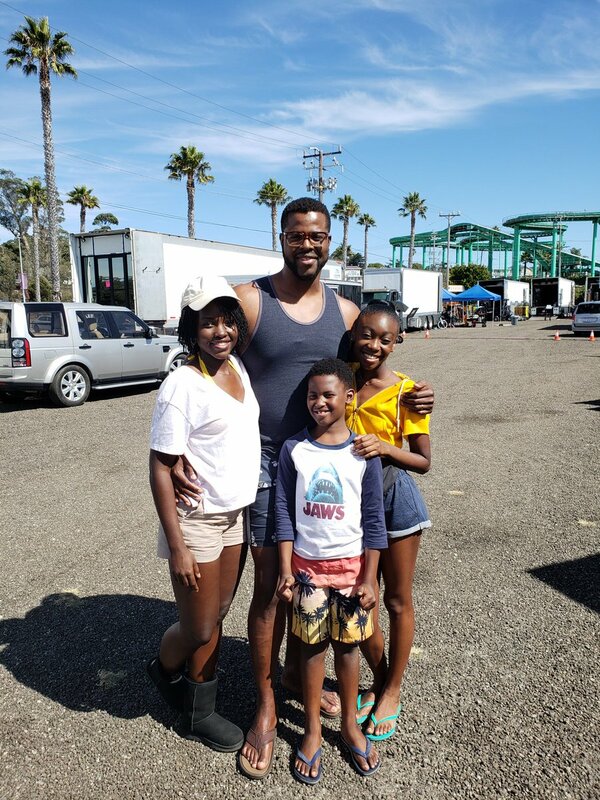 Nyong'o loved working with the young actors. "Children remind you what the heart of the matter is," she says. "They work from a truthfulness. I mean, I watched Madina develop her craft as we went along. She was always so curious about what we were doing and why we were doing it. I would be warming up and she would ask me what I was doing, and the next thing I knew she was doing it. With every take, I'd see she would have a deeper understanding of what the dynamics were, what was at stake, what the subtext was. And she may not even be able to articulate that. But I could see her growing as an actor." 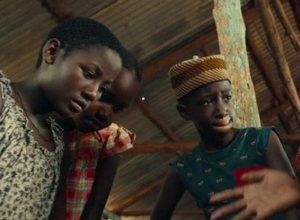 Disney's Queen of Katwe is set in the slum of Katwe in Kampala, Uganda where we follow Phiona Mutesi on her journey to dream big and create a better life for her and her family. Her mother Harriet works on the market selling vegetables in order to just provide enough money to keep a roof over the family's head and says to Phiona that she will be disappointed if she 'dares to dream'. Using remarkably photorealistic animation, this remake of the 1967 Disney classic is warm and enjoyable, with a few moments of suspense for the kids in the audience. Loosely based on Rudyard Kipling's stories, it's a lively tale packed with memorable characters. But it feels relentlessly tamed for a family audience. 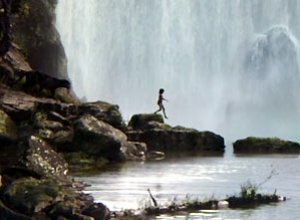 Stranded in the jungle as a baby, Mowgli (Neel Sethi) was rescued by the panther Bagheera (voiced by Ben Kingsley) and raised by a pair of wolves (Lupita Nyong'o and Giancarlo Esposito). But the presence of a human in the jungle is unacceptable to tiger Shere Khan (Idris Elba), who was injured by a man and now wants Mowgli's blood. While fleeing to the human world, Mowgli has a fateful encounter with the seductive python Kaa (Scarlett Johansson). 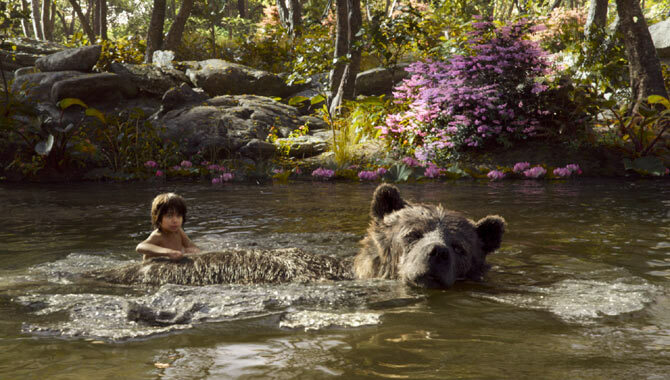 He's rescued by the bear Baloo (Bill Murray), with whom he has a series of adventures, including being kidnapped by a gang of monkeys led by King Louie (Christopher Walken). But Shere Khan is still searching for him, and Mowgli can't hide forever. Filmmaker Jon Favreau (Iron Man) keeps the story skimming along the surface, avoiding the darker themes woven into the premise. So instead of exploring the meaning of humanity or mankind's relationship with nature, the film is a breezy adventure romp with the usual action movie beats and some surprisingly nasty violence. And it looks utterly amazing, especially since the credits note that it was filmed completely in downtown Los Angeles. Clooney and Nyong’o join the growing list of names speaking out over the lack of diversity in this year’s Oscar nominations. Lupita Nyong’o and George Clooney have become the latest stars to speak out about this year’s Oscar nominations, which have been criticised for their lack of diversity. Already director Spike Lee and Jada Pinkett-Smith have said they’ll be boycotting this year’s ceremony which for the second year in a row features no non-white nominees in any of the major categories. 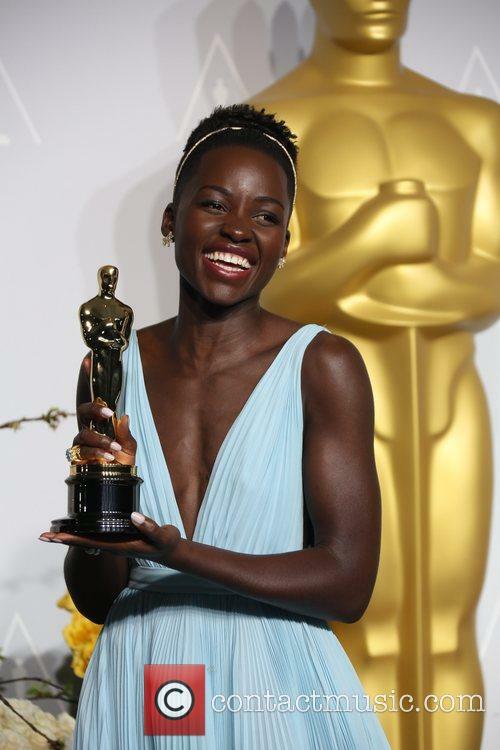 Lupita Nyong’o has joined the debate over this year’s Oscars. 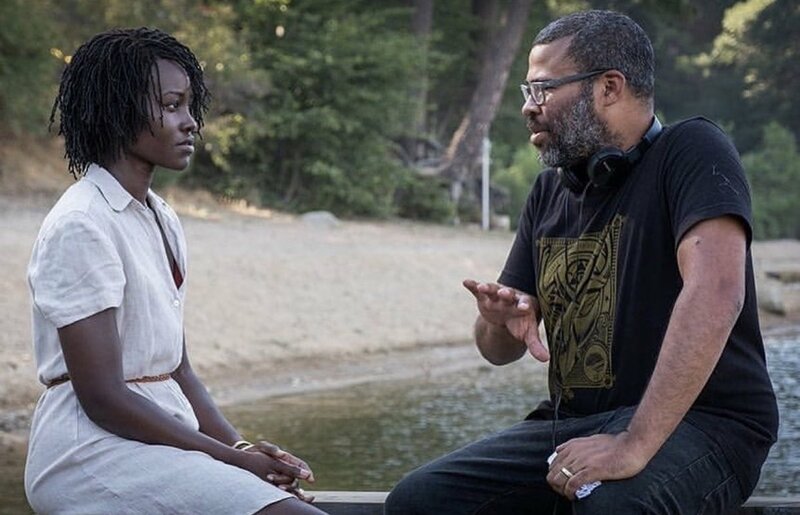 Nyong’o, who won an Oscar for Best Supporting Actress in 2013, wrote on Instagram: "I am disappointed by the lack of inclusion in this year's Academy Awards nominations. 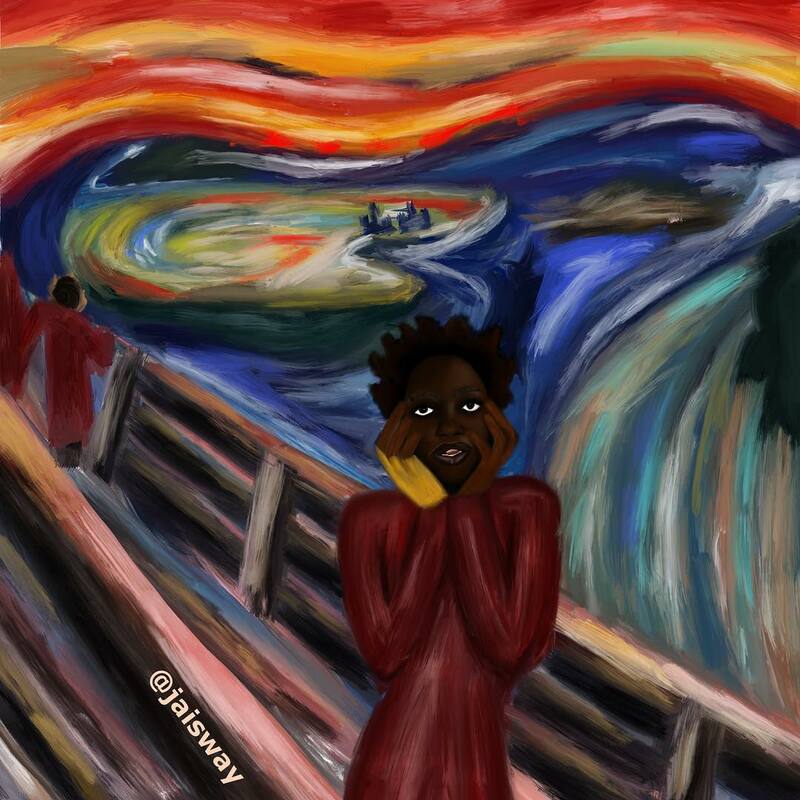 It has me thinking about unconscious prejudice and what merits prestige in our culture." Model and actress Lupita Nyong'o chats about some of the benefits to playing a motion capture character (Lupita even spoke to Andy Serkis, the master of motion capture, for some advice) and what attracted her to the role of Moz in the first place. Speaking about the character, she says there's a great heart at the centre of the character and what might become of the role. The Oscar-winning actress recently opened up about how she had to learn she was beautiful. Even though Lupita Nyong'o, who won an Oscar for Best Supporting Actress at this year's Academy-Awards, is currently No.1 on People Magazine's Most Beautiful list, from a young age she was taught she wasn't beautiful. Nyong'o, who was born in Mexico and raised in Kenya, opens up about her youth while covering December's Glamour magazine for its annual Women of the Year issue, which she will be honoured with at the glossy mag's 24th annual awards ceremony in New York City on Nov. 10th. 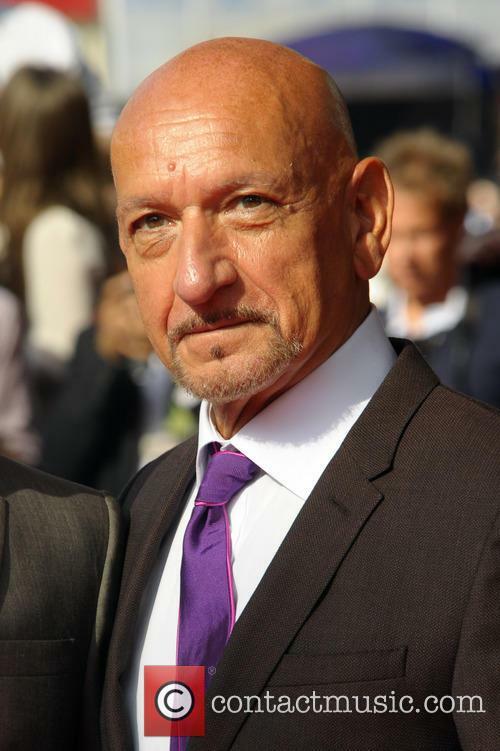 Ben Kingsley has joined the cast of Jon Favreau’s live-action adaptation of the classic Rudyard Kipling novel, The Jungle Book, The Hollywood Reporter has confirmed. Kingsley will play the role of Bagheera, the friendly, caring panther that acts as a surrogate father figure for the orphaned Mowgli. 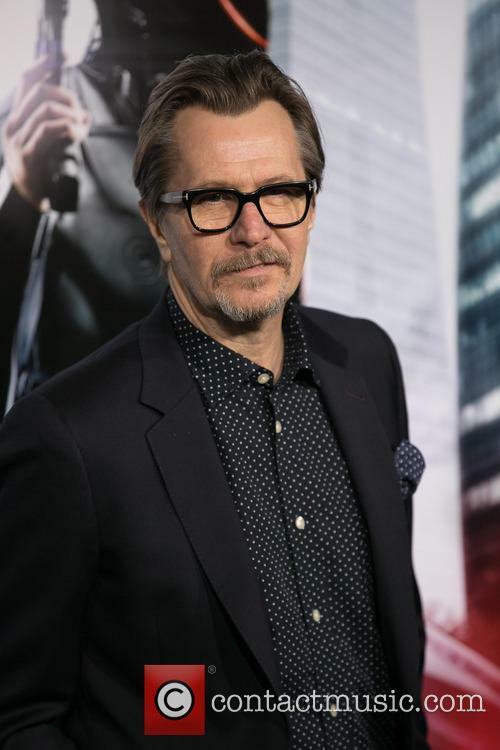 His recent projects include the high profile blockbusters Ender's Game and Iron Man 3, while his upcoming projects include Autobahn, Night at the Museum: Secret of the Tomb and Exodus: Gods and Kings. Having won an Oscar for her role as Patsey in 12 Years a Slave, Lupita Nyong’o has likened award season and, more specifically, the red carpet, to a war zone. The 31-year-old star was talking to Vogue as part of her well-documented cover feature. “Everyone said, 'Brace yourself, Lupita! Keep a granola bar in that clutch of yours! '” she explained. “I didn't really understand what they meant, and it was only once it was past that I realized that my body had been holding on by a thread to get through this very intense experience. Nothing can prepare you for awards season,” she added. “'The red carpet feels like a war zone, except you cannot fly or fight; you just have to stand there and take it,” she explained. Lupita Nyong'o Compares Attending Movie Award Season Events To "War Zone"
While landing her first front cover of Vogue, the 31 year-old actress recalls her harrowing encounters walking the red carpet: "My body had been holding on by a thread to get through this very intense experience." Lupita Nyong'o may have been victorious at this year's Academy-Awards, but it sounds the process isn't particularly pleasant. The whole award season was rather overwhelming for the 31 year-old actress, who was unheard of before starring in '12 Years A Slave,' especially the daunting experience of walking the red carpet. While Nyong'o landed her first front cover of Vogue, looking stunning in a Prada purple-and-red printed dress, she revealed what it is like being at the limelight of Hollywood. 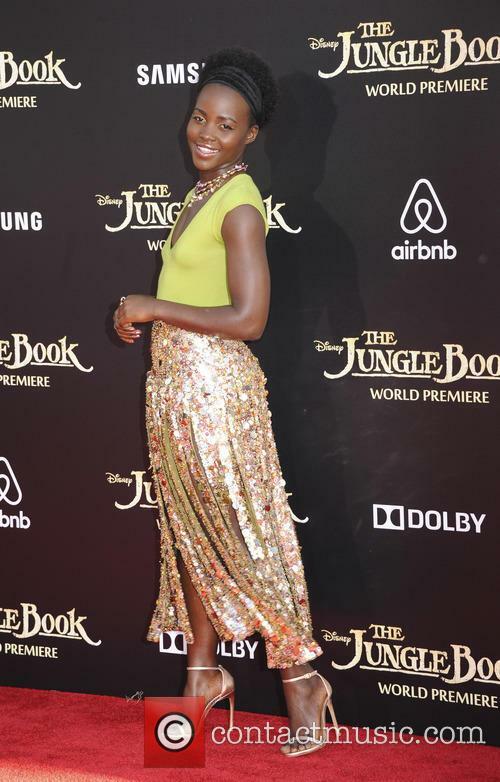 Continue reading: Lupita Nyong'o Compares Attending Movie Award Season Events To "War Zone"
Lupita Nyong’o was a relative unknown before she burst on the screen with her captivating performance in ’12 Years a Slave’. Her role as Patsey in Steve McQueens award-winning slave drama, which told the true-to-life story of Solomon Northrup (Chiwetel Ejiofor), saw her pick up the Academy Award for Best Supporting Actress and placed her irrevocably in the limelight. "It just feels like the entertainment industry exploded into my life. People who seemed so distant all of a sudden were right in front of me and recognising me - before I recognised them!” the Kenyan-Mexican star explained, adding that she knew she was ‘famous’ when the paparazzi were pointing their lenses at her. 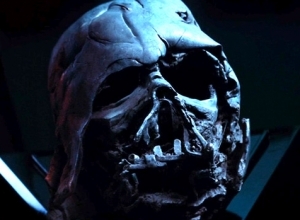 'Star Wars Episode VII' Rumours - Will "Jedi-Hunters" Be The Villains? Rumours regarding the plot of Star Wars are already circulating and websites suggest people working within Pinewood Studios are being kept in the dark. However, some sources have managed to glean some information and have passed on the rumours. 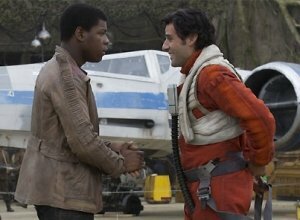 The plot of Star Wars is already being widely discussed despite the producers' attempts to keep the story line under wraps. Rumours are flying amuck about the possible plot and some of them are originating from inside the Pinewood Studio. 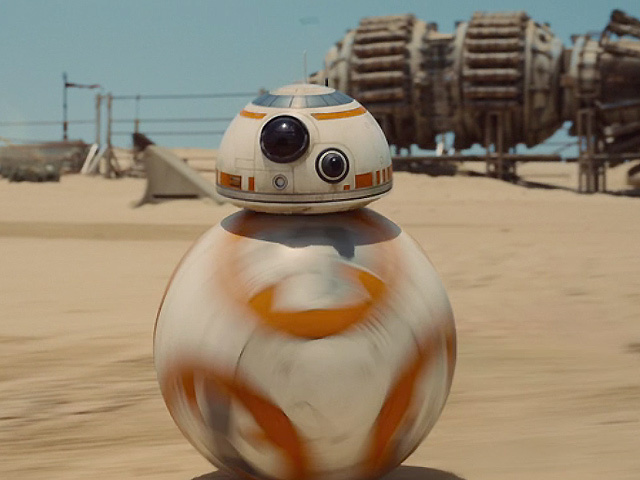 The Star Wars Episode VII script is top secret. The website, makingstarwars.net, has allegedly spoken to people working within the studio and with close proximity to the cast and crew. Although the website emphasises these rumours are merely speculative and that none of the sources have read the script, there appears to be some information creeping through. 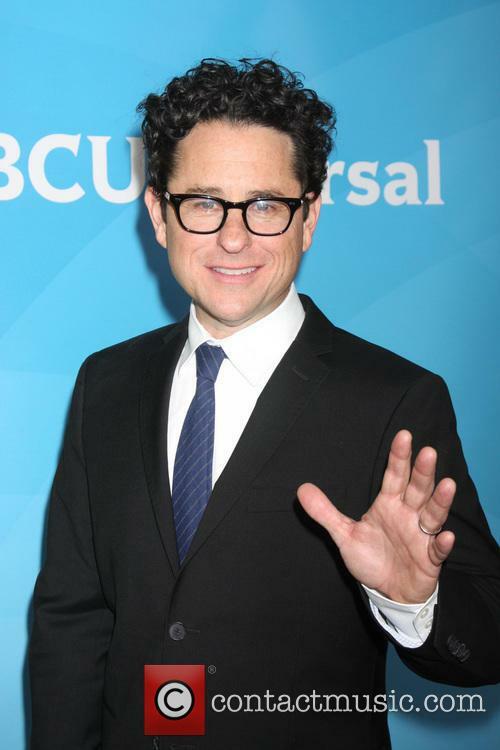 Continue reading: 'Star Wars Episode VII' Rumours - Will "Jedi-Hunters" Be The Villains? 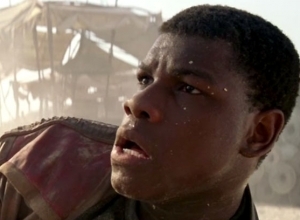 The Star Wars Episode VII cast is growing still with Lupita Nyong’o and Gwendoline Christie added. No details have been given on their characters yet, but the move does remedy some of the criticisms that the company was too male orientated. 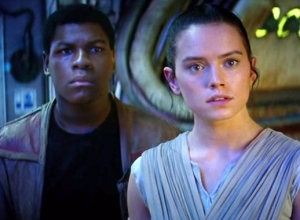 "I could not be more excited about Lupita and Gwendoline joining the cast of 'Episode VII,'" Lucasfilm President Kathleen Kennedy said in a statement on starwars.com. "It's thrilling to see this extraordinarily talented ensemble taking shape." '12 Years A Slave' star Lupita Nyong'o dazzled photographers with her outfit as she left her New York hotel ahead of her appearance at the 2014 Costume Institute Gala where the theme was 'Charles James: Beyond Fashion'. She was wearing a brown mini dress under a decorative beaded gown adorned in feathers and teamed with an ornate head band. As she gets into her car, paparazzi start chanting 'Lupita!' so she obligingly winds the window down and waves as the car drives away. This year's Charles James-inspired theme left plenty of room for self expression. Last year at the Met Gala, Kim Kardashian and Kanye West made news for all the wrong reasons. While the then-heavily pregnant Kardashian should have been able to wear whatever she wanted, news outlets jumped on her choice of a floral printed bodycon dress like there was no tomorrow. So this year, with the theme of the Gala being “Charles James: Beyond Fashion”, the pressure was on for this couple in particular – Kanye is a designer after all. Fortunately, K&K did not disappoint and walked the red carpet in a pair of stunning ensembles. While West opted for a classic black tux, accessorizing it with a white tie and vest, his fiancée showed off her enviable post-pregnancy figure in a structured, futuristic blue satin dress. The cinched at the waist look worked really well with her hourglass shape and the pair were just a sight to behold. Oh, and in case it's still a question - there were no rings on either of their fingers. Kate Upton went for an extravagant Dolce & Gabbanna ensemble. Some other highlights from the night included Beyonce and Jay-Z, him in a classic black and white suit and her in a luxurious (if slightly see-through Givenchi dress). Taylor Swift came in with a more innocent look than we’re used to seeing her in lately. The Red singer wore a pink , form-fitting Oscar de la Renta gown with a long train and looked as statuesque as ever in it. Avril Lavigne went way down in our estimations this week whilst Marc Anthony made knees weak at the Billboard Latin Awards and Peaches Geldof was laid to rest. 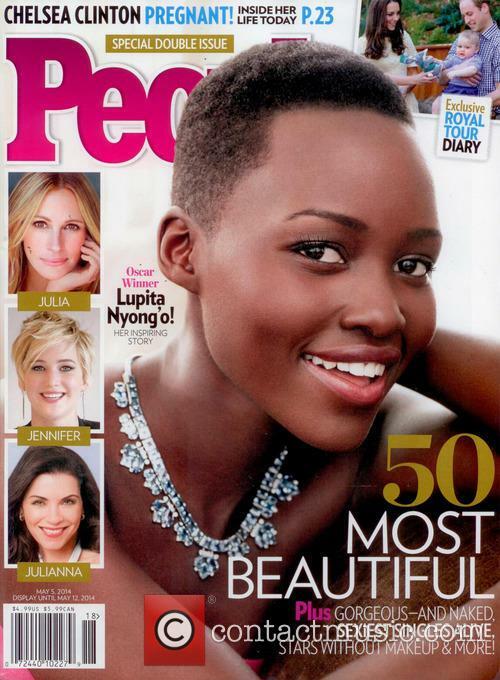 People's "Most Beautiful": Lupita Nyong'o is beautiful? Tell us something we didn't know! The 12 Years a Slave star was honoured this week for her natural beauty and bang-on style with People magazine's "Most Beautiful" prize. Sure, the award isn't as special as say, her Academy Award but goes to show that 2014 is the year of the Lupita for sure with filmmakers, fashion houses and fans falling at her feet. Need inspiration? We've compiled a list of her top red carpet looks here. 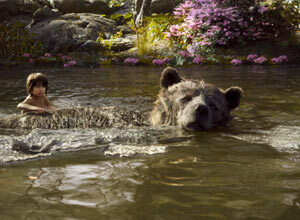 And what was that about a role in the new Jungle Book movie? 'The Hobbit' Name Change: It's a bold thing for a director to change the name of a movie but the third and final 'Hobbit' movie has received a make-over from 'There And Back Again' to 'The Battle of the Five Armies.' Find out Jackson's reasoning for the swap here. The grandiose new title brings visions of the predictably epic battle between the goblins and dwarves, elves, men, and the majestic giant eagles at the foot of the Lonely Mountain. Expect awesomeness: here are our three predictions for the new movie. Oscar winning actress and now People's most beautfiul person of 2014, Lupita Nyong'o has had quite the year, but one place where we really fell in love with her was on the red carpet. Lupita Nyong’o has topped this year’s People Magazine Most Beautiful list and we couldn't be happier for her. 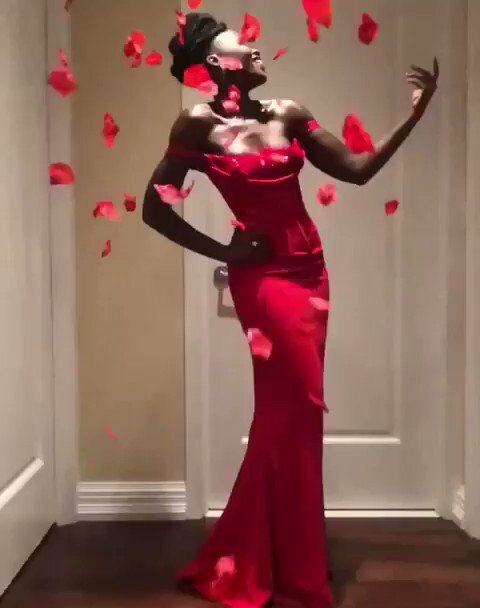 Since Lupita emerged on the scene the 12 Years A Slave actress has been inspirational with her grace and elegance, not to mention giving us more than a few red carpet looks to lust over. 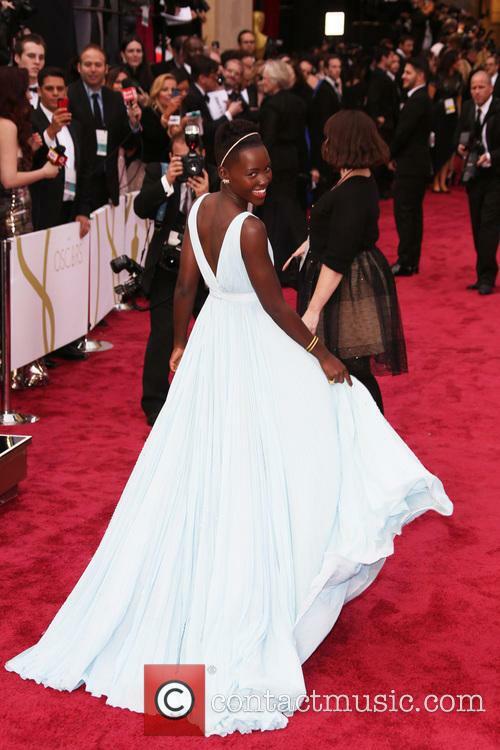 So in celebration of the ‘most beautiful’ actress here are our favourite Lupita red carpet moments. Lupita first stole our hearts at the premiere of 12 Years A Slave when the emerging star turned heads in a MuiMui mini dress straight off the runway from their Spring 2014 show. Showing off her high fashion leanings early, the light-pink cockatoo print dress featured long sleeves and a high neck and fanned out into a pleated skirt. The actresses will star alongside Idris Elba in the live action/CGI hybrid film. Scarlett Johansson and Lupita Nyong'o are reportedly in talks to star in Jon Favreau's adaptation of the classic tale, The Jungle Book. The actresses will join Mandela: Long Walk To Freedom's Idris Elba, who will voice the man-eating tiger, Shere Khan. Johansson ('Under The Skin') is rumoured to be in line for the voice of Kaa, the deceptive python who eats other animals by hypnotising them whilst 12 Years a Slave star Nyong'o is in final negotiations to voice Rakcha, the mother wolf who adopts the human boy, Mowgli, according to THR. The role would see Johansson become the movie's second villain, after Elba's formidable Shere Khan. Of course the actress is beautiful, but it's her other attributes that make her a star. Lupita Nyong'o has been named as People magazine's "Most Beautiful Woman," topping off a remarkable year for the actress, who was comparatively barely known this time in 2013. An Oscar-winning supporting role in Steve McQueen's equally Academy Award-festooned drama, 12 Years a Slave, served as a rocket to fame for the 31 year-old Kenyan-Mexican. Lupita Nyong'o Has Been Crowned People's Most Beautiful Woman. Nyong'o's performance in the emotionally-challenging slavery tale earned her international critical accolades but her many appearances on the red carpet at awards shows earned her a place in the hearts and imaginations of the fashion world. Having starred in a Miu Miu campaign and been signed up as the face of Lancôme within the past three months, Lupita's ascent to icon status has been rapid yet deserved. Here's your rundown of some of the more curious MTV Movie Awards moments. The big news this morning has to be the Mtv Movie Awards. Since it’s so far out of awards season and generally awards the biggest movies of the year, the awards are a good way to see where the wind is blowing, for this summer, in terms of blockbusters. So here is your much needed rundown. The Hunger Games: Catching Fire won Movie of the Year (is anyone really surprised) and still mostly rules the young adult and sci-fi scenes, with new hopeful Divergent. With Conan O’Brien hosting, Hunger Games leads Jennifer Lawrence and Josh Hutcherson snapped up Best Female Performance and Best Male Performance, respectively, E! News reports. Meanwhile, the red carpet was just as eventful. America's favorite Young Hollywood leads are yet to be dethroned. Parks & Rec’s Chris Pratt, who is set to have one epic summer with Guardians of the Galaxy, stopped for some red carpet interviews and said he and wife Anna Faris are working on developing Vacation Friends, a comedy recently bought by Fox. "It will be a chance for us to work together again," he said. "It's in the preliminary stages,” Pratt told USA Today. '12 Years A Slave' actress and Oscar winner, Lupita Nyong'o, is the new face of Lancôme, it was announced today. Lupita Nyong'o is the face of new Lancôme, the French cosmetic company confirmed on Friday (4th April). Campaigns featuring the 31-year-old actress will be released in September. 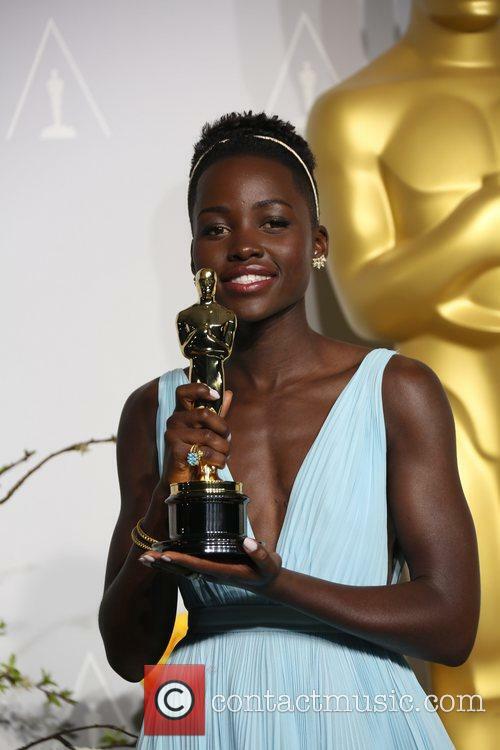 Lupita Nyong'o won an Oscar for her role in 12 Years A Slave. Nyong'o has enjoyed a busy year having starred as Patsey in the award winning historical drama 12 Years A Slave for which she received a Best Supporting Actress Oscar for her incredible performance. After years working behind the camera as a production assistant, writer, producer and director, Nyong'o has been catapulted into the spotlight owing to her incredible performance and beauty. It's no wonder the cosmetic company has singled her out as the new face of their brand. Lupita Nyong'o In Talks With Star Wars: Episode VII Director, J.J Abrams? 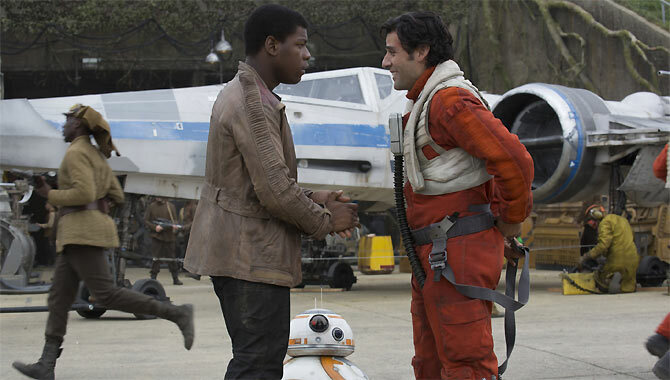 Lupita Nyong'o is rumoured to have met with 'Star Wars: Episode VII' director J.J. Abrams. Reports suggest she is being considered for the role of Obi-Wan Kenobi's descendant. 12 Years a Slave star Lupita Nyong'o is rumoured to be in talks with J.J. Abrams about the possibility of appearing in Star Wars: Episode VII. 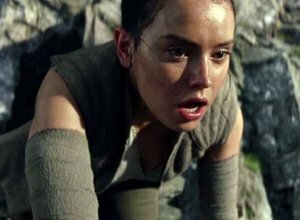 Secrecy generally surrounds the plot and casting decisions of Star Wars owing to its high profile status and constant media coverage. As such it is difficult to speculate who Nyong'o, should she be cast in the sci-fi film, would play. The role she could be considered for, according to The Hollywood Reporter, is that of Obi-Wan Kenobi's descendent. This character may be one of the lead female roles but there is a separate ongoing search for two actors - a male and female - in their twenties who will, most likely, have some form of romantic relationship. However, Nyong'o may be being considered in this search as opposed to that of Obi-Wan Kenobi's descendant. A relative newcomer to mainstream Hollywood, the 31-year-old attracted attention and widespread admiration for her role in 12 Years a Slave in which she played Patsey. The actress took home the Oscar for Best Supporting Actress for her role in movie last week and it was around this time that she met with Abrams. 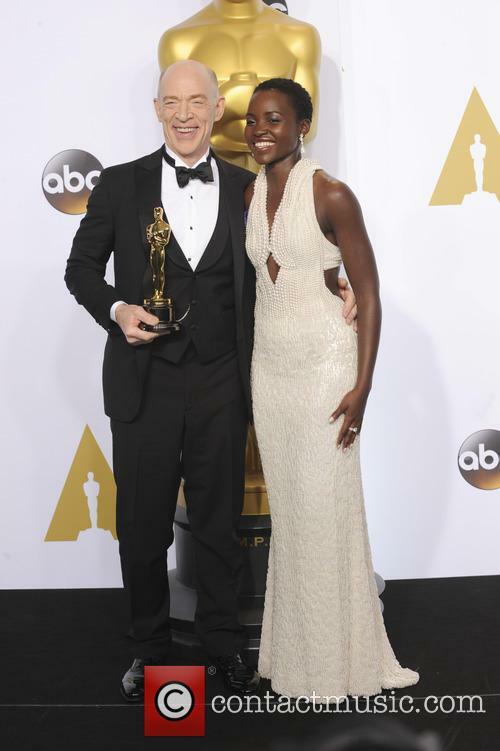 Continue reading: Lupita Nyong'o In Talks With Star Wars: Episode VII Director, J.J Abrams? The newspaper made a correction on one of its archived pieces. The New York Times has chosen to amend a detail from an article written 161 years ago about the memoir of Solomon Northup, the free African-American man who was kidnapped and sold into slavery. 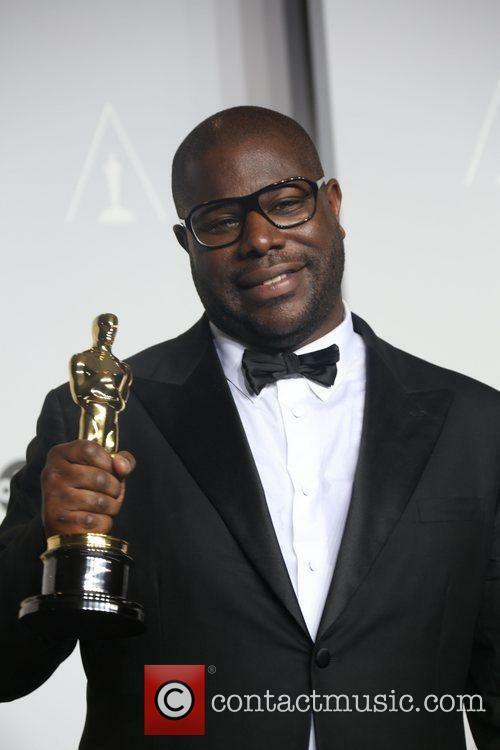 Steve McQueen received an Academy Award on Sunday for his harrowing adaptation of Northup's tale, which caused articles related to the story to be dug up. An Article Written About The Original '12 Years A Slave' Memoir Has Been Amended 161 Years Later. An article written on January 20th 1853 was discovered by author Rebecca Skloot, who discovered the mistake and publicised it via Twitter. The problem was that the 19th century article had Northup's name spelt in two different ways: Northrop and Northrup, neither of which were accurate. Lupita Nyong'o: Where Is Hollywood's Brightest New Star Headed? After winning an Oscar, the world is Lupita's oyster. Lupita Nyong'o must be feeling on top of the world right now: she has become the talk of the town all awards season with a conveyor belt of supporting actress trophies headed for her shelf, topped off with Sunday's crowning glory, an Oscar. Despite few at the Academy Awards being able to pronounce the Mexican-Kenyan actress' name*, Lupita has been praised for her surefooted sense of red carpet style, her permanently dazzling smile and that Hollywood gold dust trait, genuine niceness. Lupita Nyong'o Has Emerged As One Of The Most Exciting New Talents Of The Year. Unlike many actors who triumph at the Oscars, Lupita hasn't been building to this moment of glory throughout a long career. In fact, she was cast as Patsey in 12 Years a Slave before she'd even graduated from Yale after she was selected as one of the School of Drama's outstanding students. 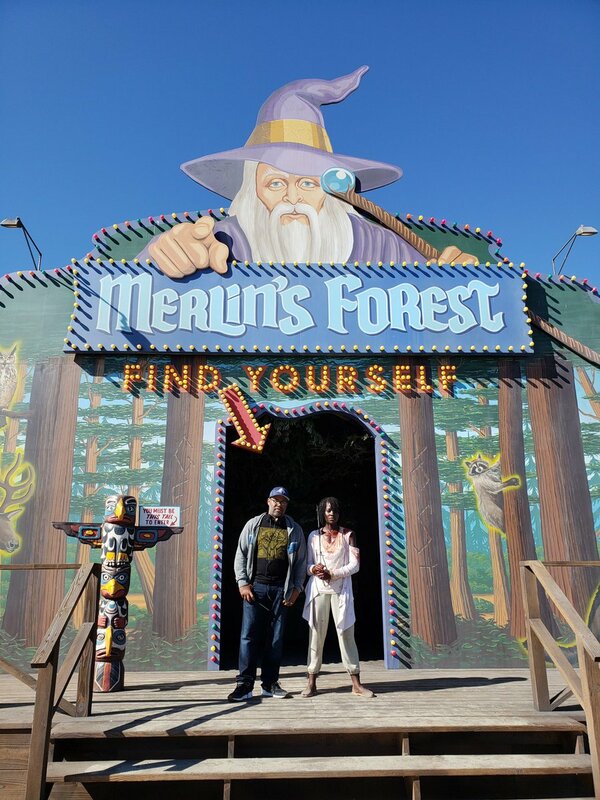 She had a solid base of theatre training from her university and a Kenyan AIDS prevention television series under her belt but that was about it; she was about to get thrown headfirst into Hollywood. Continue reading: Lupita Nyong'o: Where Is Hollywood's Brightest New Star Headed? 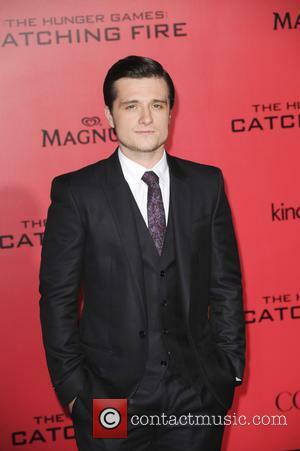 The film is expected to make up to $2 million from the expansion. A Best Picture Oscar definitely brings a lot of cache to a film. 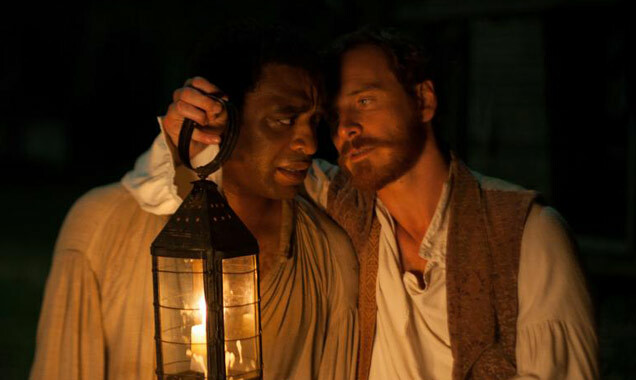 Now that 12 Years a Slave has won the big one, Fox Searchlight is planning a major expansion in US theaters. 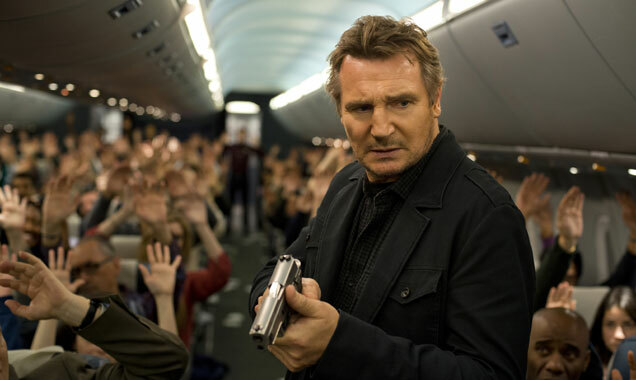 The unexpected move comes after the film saw an unexpected spike in profits over Oscar weekend. On its 20th weekend, the film grossed $975,931 from 411 theaters - up 86 percent from the previous weekend and pushing its domestic total to a strong $50.3 million, THR reports. McQueen's film is seeing additional commercial success after its awards season run. The new expansion will include more than 1,000 theaters across the US. Typically, a movie would not see an expansion once its out on DVD, since theater owners don’t make significant profits of them. However, in the case of 12 Years a Slave, all concerned parties are willing to make an exception. The expansion is expected to contribute to a sizeable profit for both Fox and the additional 1,000 theaters. Vanity Fair played host to a roomful of merry movie stars after last night's Oscars. Hollywood was out in full force for one of last night's biggest and most glamorous Oscars after-parties, hosted by Vanity Fair. After the star-studded ceremony had taken place, guests flocked to the annual party and its new specially designed setting at 8680 Sunset Boulevard, built under the direction of architect Basil Walter, according to the magazine. 'Scandal' Star Kerry Washington Looked Elegant In A Dusty Purple Down. Guests were greeted with cocktails and music as they arrived at the V.F. editor Graydon Carter-hosted event. A steady procession of movie star A-listers filed into the party to celebrate their wins, congratulate each other and try out a little bit of dancing. It was an evening of merriment and friendship, even between former lovers. Social media brings stars closer to the audience and Ellen used it to her advantage. When Ellen Degeneres took the Academy Awards gig this year, she had some huge expectations to live up to. Mostly expectations that she wouldn’t alienate half the audience thanks to a certain performance by Seth Macfarlane the previous year. So Ellen found an easy solution and bribed all the attendees with pizza. Presumably, it was the ever hungry Jennifer Lawrence who had the best time as the delivery guy (still unclear whether he was an actor or not) walked into the Dolby Theater and started handing out slices to the A-listers. Leonardo DiCaprio, Jared Leto and Harison Ford each got a slice, before Ellen left it to producer Harvey Winestein to foot the bill. He must have been a good tipper, though. "No pressure, only a billion people are watching, whatever you feel is right," she shouted. 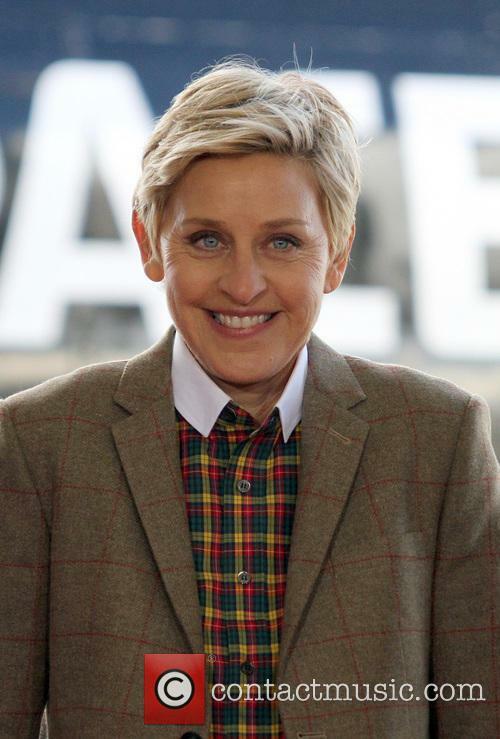 Ellen's casual hosting style was a nice change of pace for the stuffy award show. Jennifer Lawrence - a constant reminder that Academy Awards attendees don't always have to be graceful and composed. Since she didn’t win Best Actress at last night’s Oscars, Jennifer Lawrence didn’t get the chance to commit one of her trademark gaffes onstage. So she did the next best thing – a red carpet gaffe – instead. Well, gaffe might not be the right word. Given that Lawrence finally got her pizza and photos of that little pizza party in the audience are spreading like wildfire online, it seems like Lawrence really can do no wrong in the eyes of her audience. Lawrence did look pretty fabulous, once she made it to the red carpet. When Lawrence exited her limo at the Award Show, two things were immediately obvious. One, her Dior dress was very red and very stunning. We’ve known Lawrence to rock red in the past, but her strapless peplum gown this year was more mature, more form fitting and a lot, and we mean a lot tighter. Which is fine, since she looked fabulous as ever in it. Only problem - no space to move. Nyong'o made her Oscars debut memorable in more ways than one. Happy Monday everyone! While the media is still buzzing from the Oscars, most people have to get back to the real world right about now. Still, that doesn’t mean that we can’t have a little more fun rehashing the better moments from the night. Case in point: Lupita Nyong’o winning. The Supporting Actress category rarely gets as much attention as it did this year, but it isn’t hard to see what got everyone to pay attention this year. 12 Years a Slave, while shining a light on an ugly part of American history and making many squirm in their seats, is undeniably a great and necessary. Also, let's just marvel at that dress for a few more seconds. The Independet Spirits are where the stars are free to get their hipster on. Tonight is Oscar night, which means celebrities are expected to amp up the glamour and sport the latest in couture for their trips down the red carpet. But at last night’s Independent Spirit awards, they were free to let down their hair (or sport the messiest of pixie cuts as the trend seems to be) and spread their quirky fashion wings. 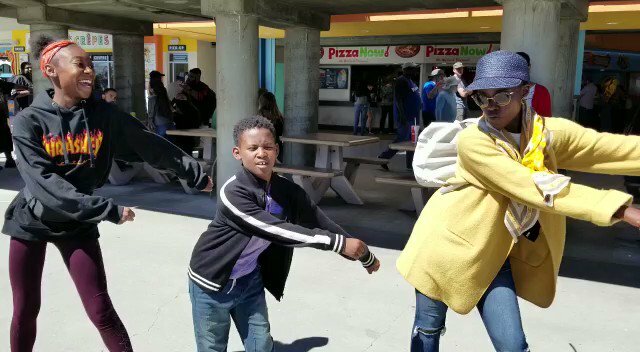 If you’re into it (who isn’t?) read on for a rundown of the best looks. Incidentally, Nyong'o's outfit matched her shiny new Supporting actress award. We can’t start a fashion rundown this season without talking about Lupita Nyong’o. Look, the woman just knows how to rock an outfit – she’s worn bright colors and neutrals, gowns and short numbers, patterns, prints and solid colors and she looks flawless (resisting the temptation to hashtag it). This time it was a silk crocodile-printed Stella McCartney romper which she paired with grey suede Casadei heels, a Devi Kroell clutch, and Neil Lane jewels. We’ll stop listing designer names now, but just look at the outfit. All eyes are on Hollywood this weekend as the Academy Awards take place this Sunday night. The least predictable Oscars in years, there are multiple possible winners in most of the major categories, as Gravity, 12 Years a Slave and American Hustle vie for Best Picture and Alfonso Cuaron and Steve McQueen contend for Best Director. We relive some of the the biggest upsets in Oscars history here. Other too-close races include actor (Matthew Mcconaughey vs Chiwetel Ejiofor), supporting actor (Jared Leto vs Barkhad Abdi) and supporting actress (Lupita Nyong'o vs Jennifer Lawrence). The only sure thing is Cate Blanchett for Best Actress. And that Gravity will mop up all the technical awards. Here is more detail on the best supporting actress Oscar battle between jennifer lawrence and lupita nyong'o being too close to call. '12 Years A Slave' star Lupita Nyong'o is seen wearing a green cap-sleeved dress with floral print and light green stilettos at the DuJour magazine luncheon in New York. She is joined for press pictures by DuJour founder Jason Binn. Lupita Nyong'o Feels '12 Years A Slave' Co-Star Chiwetel Ejiofor's BAFTA Best Actor Award Was "Well Deserved"
'12 Years A Slave' actress Lupita Nyong'o wanted to celebrate her co-star Chiwetel Ejiofor's BAFTA honor for Best Actor, so she took to twitter to state the win was "well deserved." 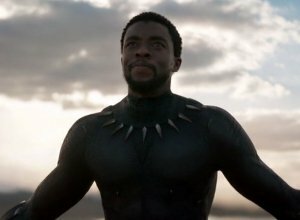 Chiwetel Ejiofor beat out the likes of Christian Bale, Leonardo DiCaprio, Bruce Dern and Tom Hanks to be awarded the top prize at Sunday's (Feb 16th) BAFTA Awards. The 36 year-old Brit took home the Best Actor prize for his portrayal of Solomon Northup in Steve McQueen's '12 Years A Slave'. And his fellow co-stars were more than thrilled for him. Continue reading: Lupita Nyong'o Feels '12 Years A Slave' Co-Star Chiwetel Ejiofor's BAFTA Best Actor Award Was "Well Deserved"
Who wears the trousers in Brangelina? They both do, obviously. Angelina Jolie and Brad Pitt may have gone home without any individual BAFTAs at last night's British Academy Film Awards but the Hollywood power couple have been two of the most talked-about attendees since the glittering ceremony. The actors turned up at the event in the matching attire of tuxedos and black ties and Angelina served as her fiance's touch-up stylist, tweaking his bowtie on the red carpet. Brad Pitt & Angelina Jolie Rocked Up In Matching Suits At The BAFTAs. Whilst Brad kept his look polished and smart, Angelina opted to dress her look down with an open-necked shirt, loose silk tie and tousled hair. The Tomb Raider actress' choice to ditch a party frock in favour of a Saint Laurent blazer turned heads at the awards and made her the ceremony's style icon. Lupita Nyong’o is tipped to take the Oscar next month in what's been a meteoric rise for the young actress. If there’s one name you need to remember for this awards season it's12 Years a Slaveactress Lupita Nyong’o. The Oscar nominee is the girl everyone is watching at the minute as she graces every award show's red carpet. The past few month’s have seen the Kenyan’s rise in both the film and fashion world, making her 2014’s hottest actress, so it's about time we took a look at the story so far for Lupita Nyong’o. On a remarkable night at the BAFTAs, some remarkable performances were overlooked. The Baftas delivered on certain promises, collating some of the world’s biggest stars and funneling them down a red carpet, giving a select few the chance to present an award, and, creating talking points as the perennial battle between who should have won and who did win continued to flare. Gravity was the night’s big success story as it was when it debuted at Venice all those months ago. The case for the film’s British credentials were never in doubt – BAFTA awards home soil movies and, given that the space thriller’s special effects were delivered by a British team in England, Gravity’s passport is a U.K one. But that doesn’t necessarily mean the coveted Best Director nod should have gone Alfonso Cuaron’s way. Despite the pure, exhilarating brand of entertainment delivered – almost old-school Hollywood – it’s hard to look past Steve McQueen for his work on 12 Years a Slave when looking for someone more deserved of individual recognition. Yes, 12 Years reeled in two magnificent awards: that of Best Actor for Chiwetel Ejiofor and Best Film. Despite these high-profile gongs, though, there were other categories in which the slave drama missed out on, and almost certainly didn’t deserve to. The supporting actor categories leap out as key pieces of evidence in the case of 12 Years a Slave. Barkhad Abdhi’s ascension this past 12 months has been a joy to watch, and his performance in Captain Phillips was touching and terrifying in equal measure. 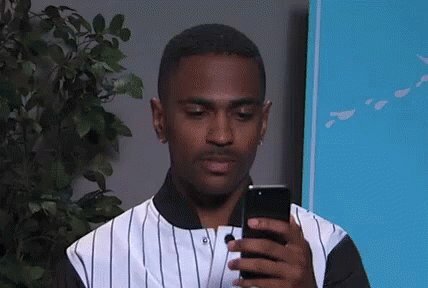 But he wasn’t better than Michael Fassbender as Edwin Epps – the evil plantation owner with a scary infatuation with Patsy, played majestically by Lupita Nyong’o. And, like a seasoned radio professional, that neat segway leads me on to the Best Supporting Actress win for Jennifer Lawrence, which was – despite her current popularity and GIF-worthyness – a ridiculous decision. To put her role in American Hustle above Nyong’o’s in 12 Years was a travesty; to put it above newcomer Nyong’o and Sally Hawkins’ turn in Blue Jasmine is nothing short of wrong. 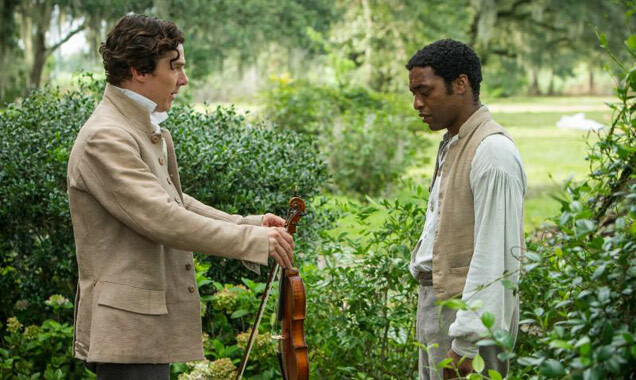 '12 Years A Slave' Dominates British Critics Awards, Lupita Nyong'o In Line For A Famous Mentor? 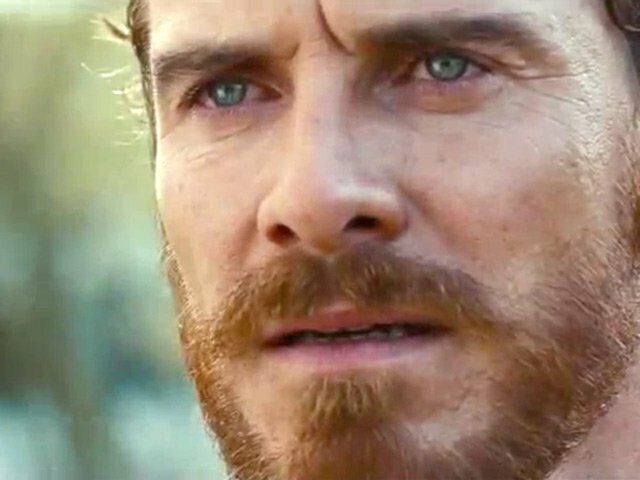 12 Years a Slave enjoyed another fruitful evening at an awards show last night when it picked up three gongs – including that of Best Film - at the British Critics’ Circle Awards. 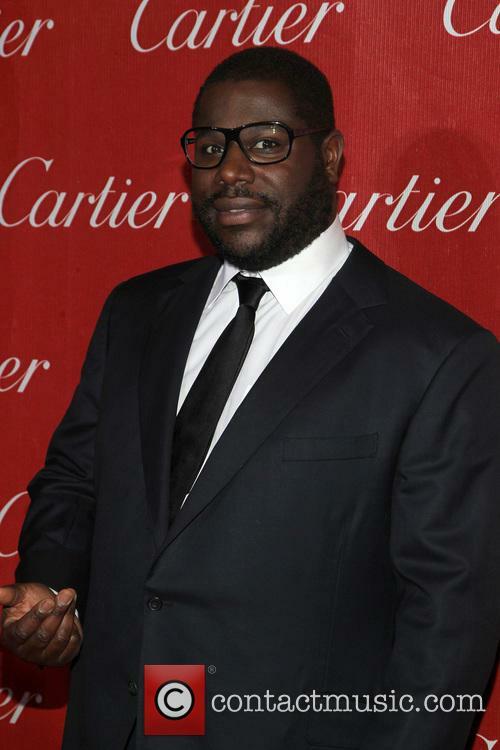 Steve McQueen will have been disappointed not to be recognised as Best Director, though; the award heading the way of Alfonso Cuaron for his work on Gravity – a film that will be vying for similar honours on March 2 when The Academy close awards season for another year. Continue reading: '12 Years A Slave' Dominates British Critics Awards, Lupita Nyong'o In Line For A Famous Mentor? 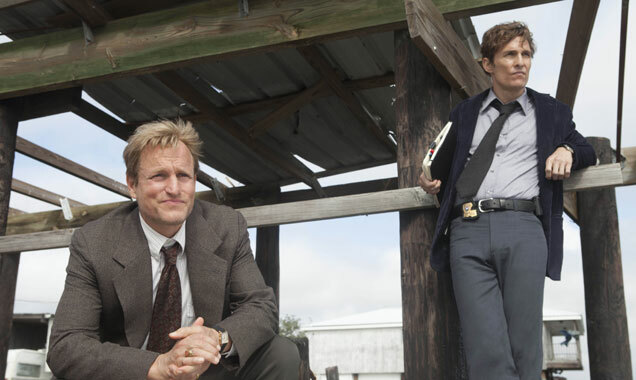 Golden Globes successes brought Oscar nominations speculation this week as movie awards overshadow all other news. Golden Globes Glory: Last weekend's Golden Globe awards set hearts racing ahead of March's Oscars with plenty of deserving winners next to a few jaw-dropping snubs. 12 Years A Slave predictably came out on top with the big gong but a few unpredictabilities set award odds and Oscars speculation askew. Newbie comedy Brooklyn Nine-Nine saw off rivals to claim two awards whilst Blue Jasmine's Cate Blanchett took the leading lady award alongside Dallas Buyers Club's for the men. Gravity's Alfonso Cuarón stole Best Director from Steve McQueen whilst Breaking Bad and Behind The Candelabra snatched the big TV awards. The surprise wins also made for some truly memorable speeches too, with Elisabeth Moss exclamation of "Oh s**t!" and Jacqueline Bisset's sweary ramble marking two particular highlights. Read about all the winners here. The cast of '12 Years A Slave' arrive at the movie premiere at the New York Film Festival including lead actor Chiwetel Ejiofor and director Steve McQueen. 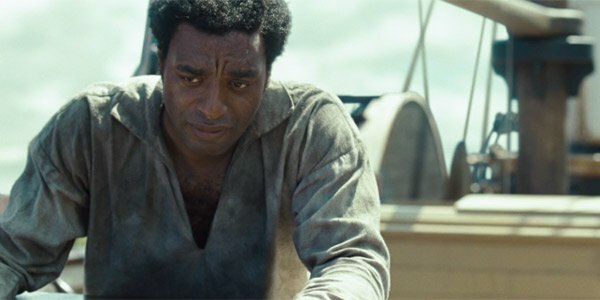 Ejiofor plays real life wronged man Solomon Northup in this story about one man's illegal enslavement despite his American citizenship and achievements, based on the autobiography of the same name.